So much artistic craftiness in one space!! awesome display! Happy New Year Bobbi! what a great way to disply ur cards! 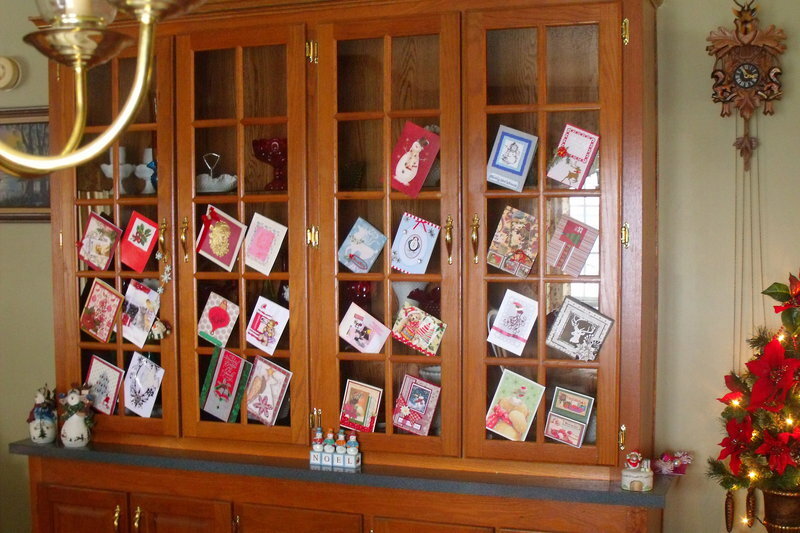 love the china cabinet too! I love this display. That would have been so cool if you were able to fill in each square. Happy New Year Bobbi! Your card display is beautiful and very festive. I sure enjoyed our card swap this year.